2011 wasn't a great reading year for me. I got sidetracked by a whole bunch of things and I'm hoping it will be better in 2012. This year I actually started and abandoned a whole bunch of books, which is something I never used to do. But I decided if it wasn't doing it for me, I'd stop. An example of this was Patriot's Dream by Barbara Michaels, an alias of Elizabeth Peters. She's my favourite author, and it was about time-travel romance set in the Revolutionary War, so I should have loved it - but instead I just found it ho-hum and stopped halfway through. There were a bunch I started that were truly awful and I thought about blogging just how terrible they were based on the few chapters I read, but that wouldn't be fair. 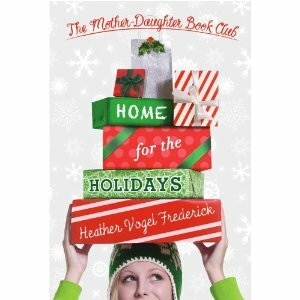 I know I just reviewed it, but one of my favourite books this year was Home for the Holidays, it was just so much fun and made me so happy. 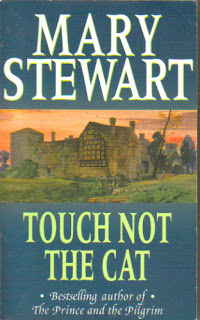 Touch Not the Cat: Mary Stewart's writing is amazing, and I couldn't believe how intricately plotted and atmospheric this novel was. My favourite movie this year was X-Men: First Class. It just blew me away. I had some issues with it (like the female roles) but overall it was an intelligent, exciting and well-crafted superhero story. It doesn't hurt that Michael Fassbender was smoking hot as Magneto, either. Earlier this year I blogged about how much I was enjoying Manor House, so it's no surprise that I'm liking the TV series Downtown Abbey too. 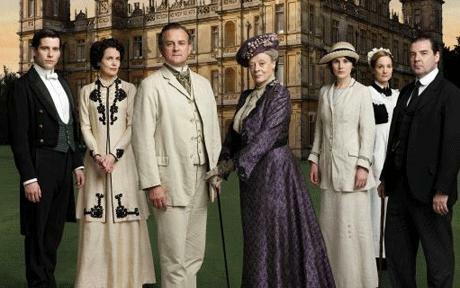 We recently purchased a new TV and the eye-popping scenery and colourful dresses on this show look amazing. I'm not usually a big fan of these sorts of melodramatic soap operas, but there are definite moments of comic relief to help ease some of the more serious storylines. I've only seen season one so far, but I'm especially into the storyline involving feminist daughter Sybil and the burgeoning romance with her Irish socialist chauffeur Branson. Here's to 2012, where I hope to find lots of exciting new discoveries!